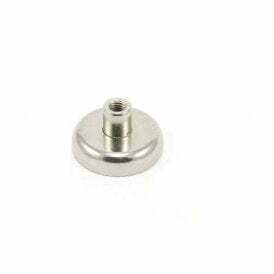 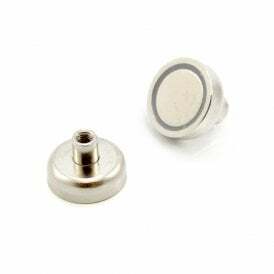 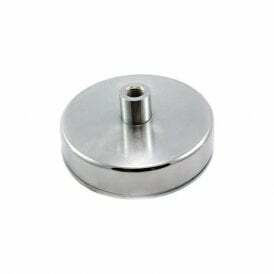 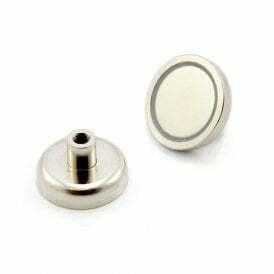 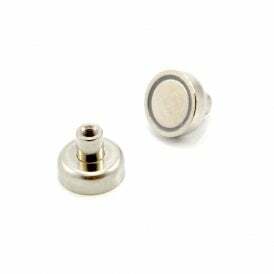 These pot magnets with a central threaded collar make assembly easily, whatever your application. 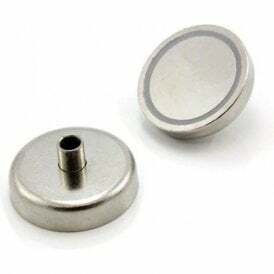 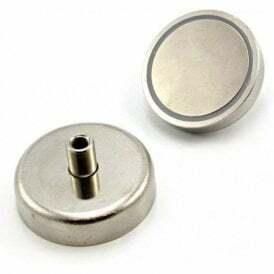 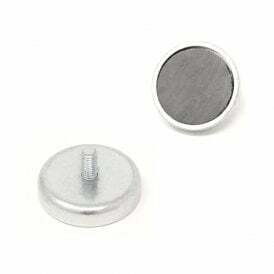 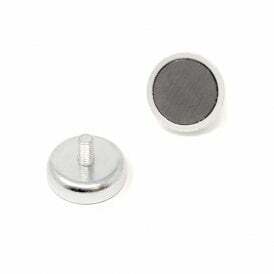 These magnets make excellent temporary or semi-permanent fixings and are commonly used as magnetic stoppers of dampers. 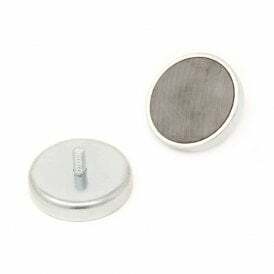 As magnetism is concentrated on one face it means they have the maximum clamping force for the size of the magnet. 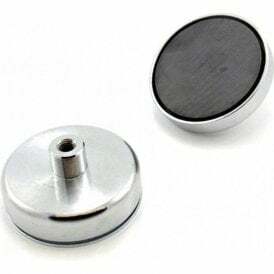 Hooks and eyebolts can be easily screwed into place turning this magnets into a useful assembly for suspending objects from steel ceilings.